We are very pleased to be able to announce our sucess in winning Claremont Tower for Newcastle University, the new 27 Storey residential landmark, Hadrian’s Tower, Maiden Castle Sports Centre for Durham University, the iconic Assembly Rooms leisure and theatre venue in Durham, St John’s College in Durham and Elm House in Morpeth. These are great wins for our business and signifant in a number of ways. Claremont Tower is a large scale project and that alone makes it significant. Moreover it is our first project for a while working with Sir Robert McAlpine in the region. I am very pleased that our work to spread the TClarke name and capabilities in the North East is delivering results like this one. Hadrian’s Tower is another large scale project that will stand out on the Newcastle skyline and another opportunity to spread our reputation. 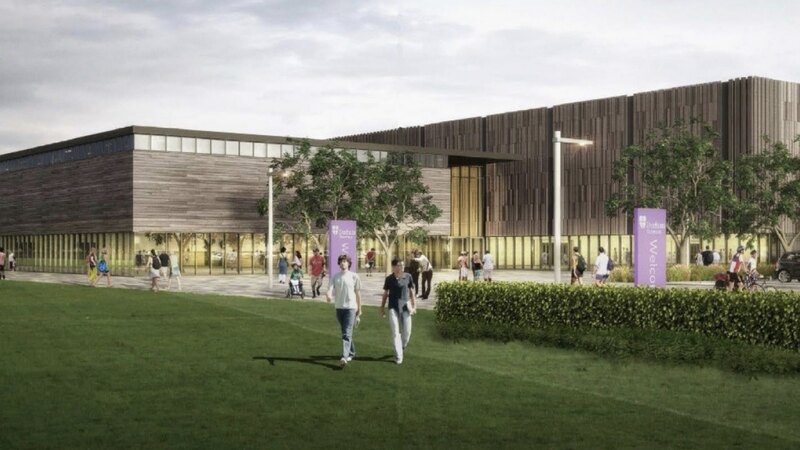 The Maiden Castle Sports Centre for Durham University (pictured) features world class sporting facilities, including Sports Science laboratories, the latest generation of heated sports pitches and the refurbishment of various existing facilities. Meanwhile the Assembly Rooms project in Durham will restore a 150 year old theatre and create an arts destination for the region. We are delighted that these and other wins have shown that, against the backdrop of a highly competitive local market, TClarke has been able to pursue our sensible and steady strategic objectives. We have sought work that values our capabilites and where we can show value in return; our teams have worked hard to acheive these wins and it’s great to share their success.